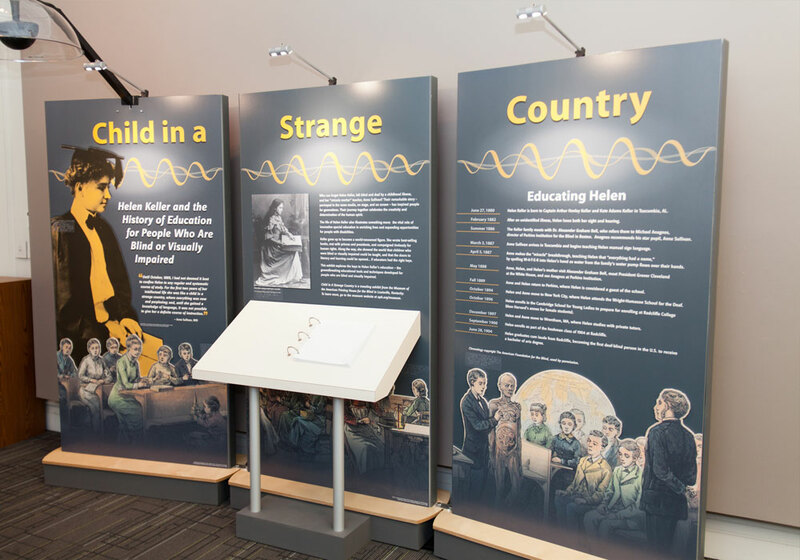 American Print House of the Blind: “Helen Keller: Child in a Strange Country” is a fully accessible traveling exhibit designed for small museums, library galleries, and blindness agencies. 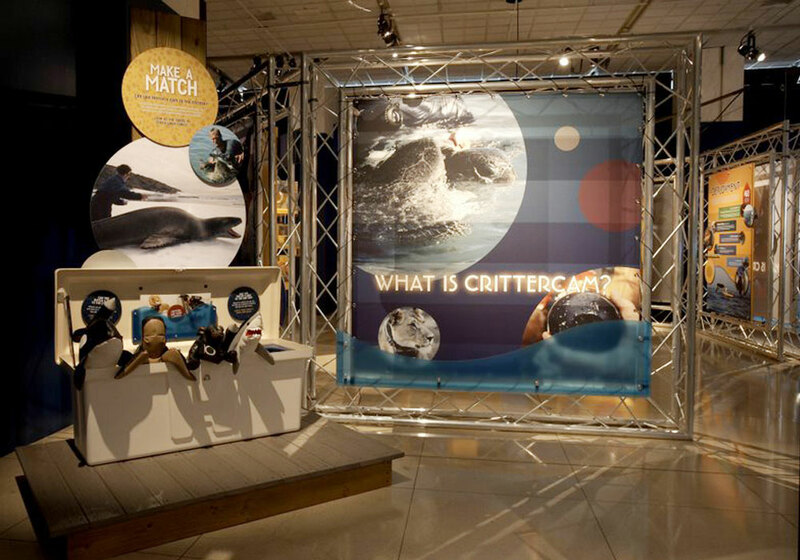 CMS was selected through a competitive bid process to facilitate design and scriptwriting as well as detailing, fabrication, crating and initial set-up. 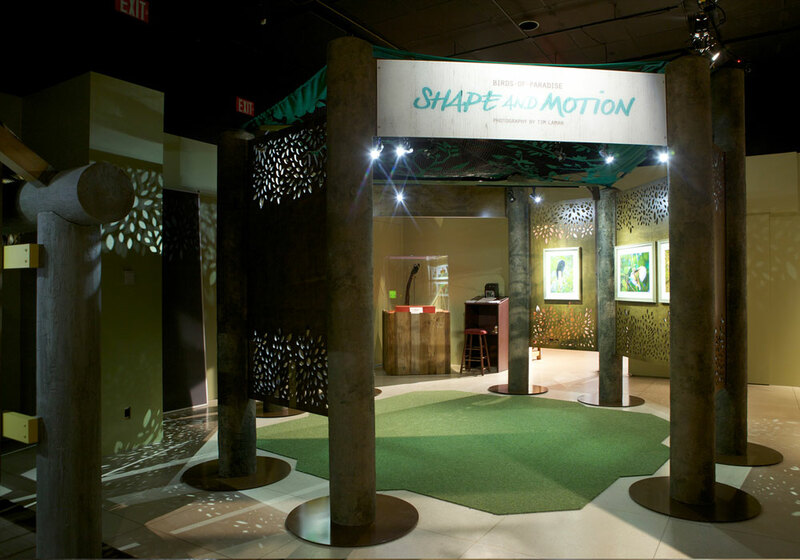 A Modular system of adaptable components enables simple set-up in varied layouts depending on the venue’s site conditions. 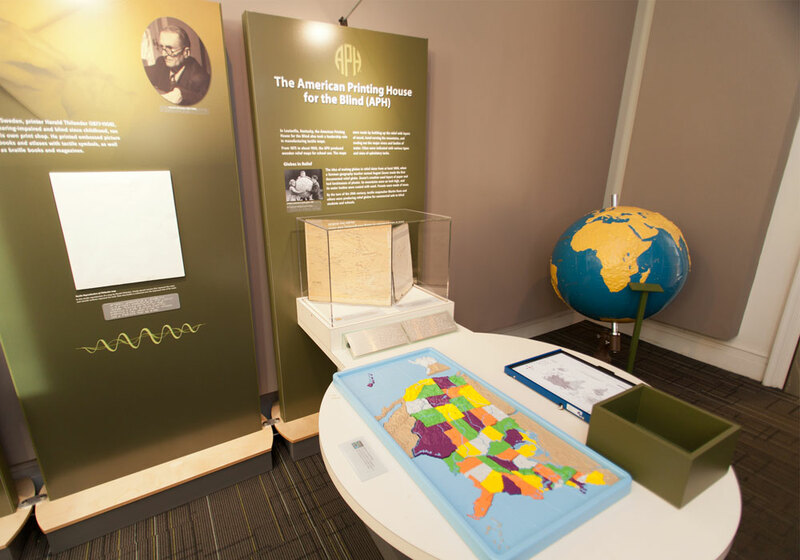 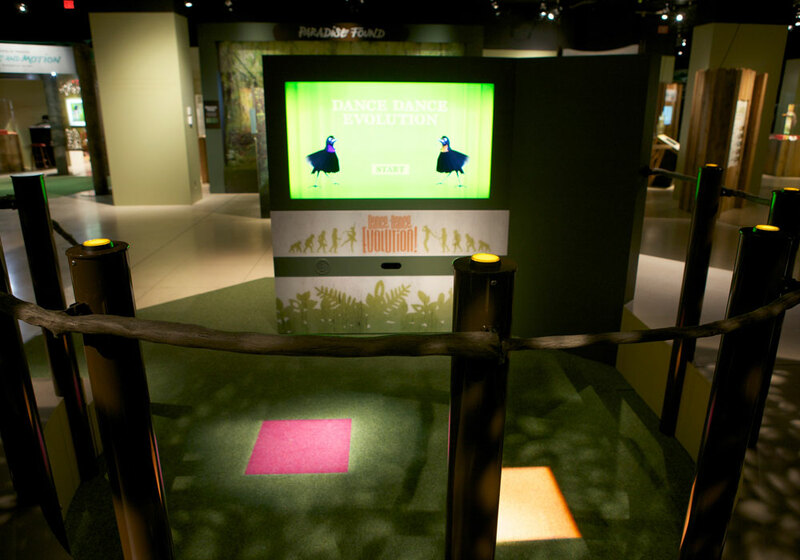 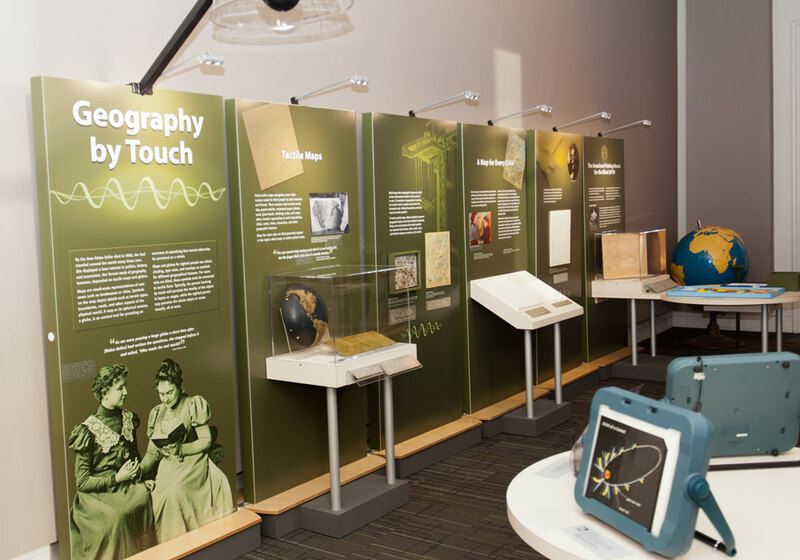 Using Helen Keller's educational journey as a lens, the exhibit uses tactile reproductions and authentic artifacts to uncover the roots of modern education for children with vision loss. 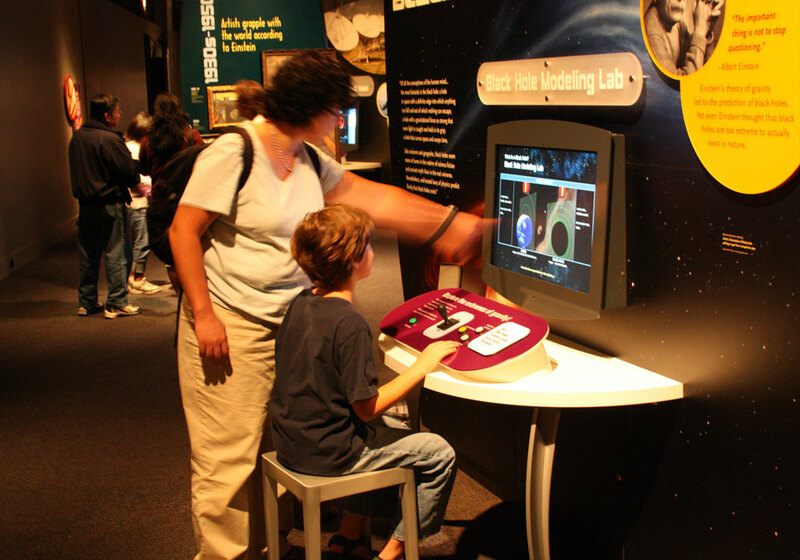 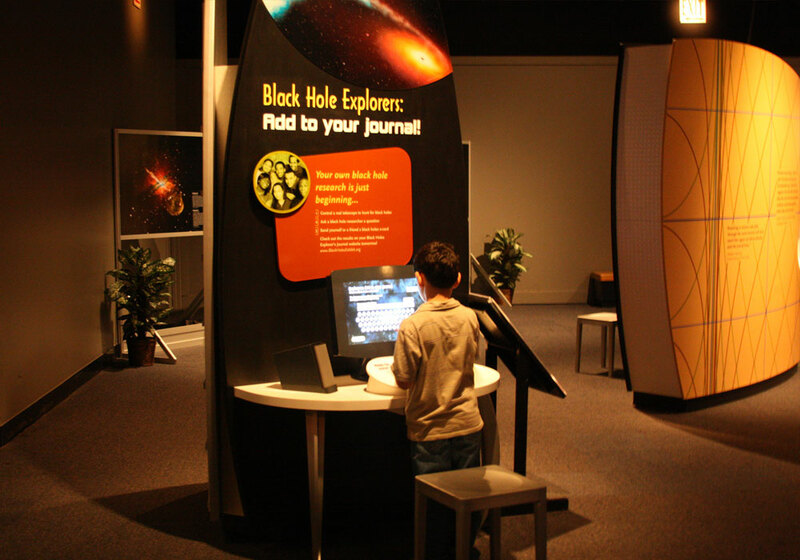 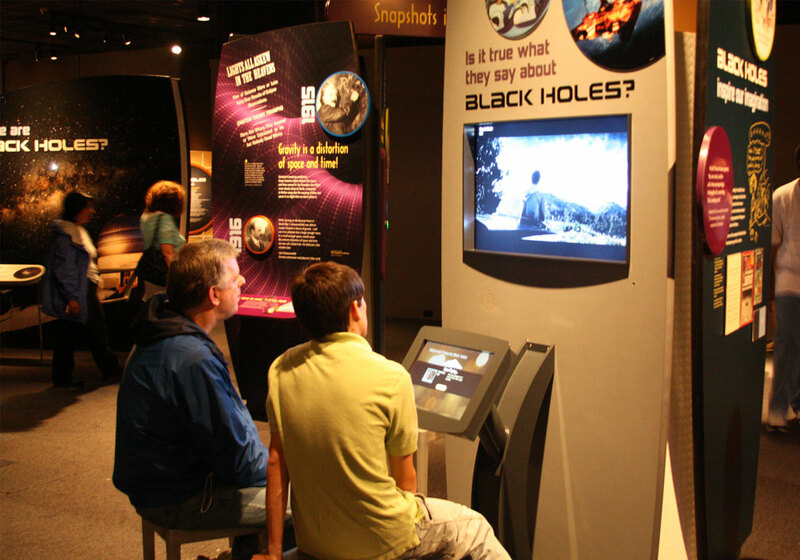 Harvard-Smithsonian Center for Astrophysics: “Black Holes: Space Warps and Time Twists” inspires the visitor to “sign-in” and receive an individual key card and then travel from station to station and explore the phenomenon of Black Holes. 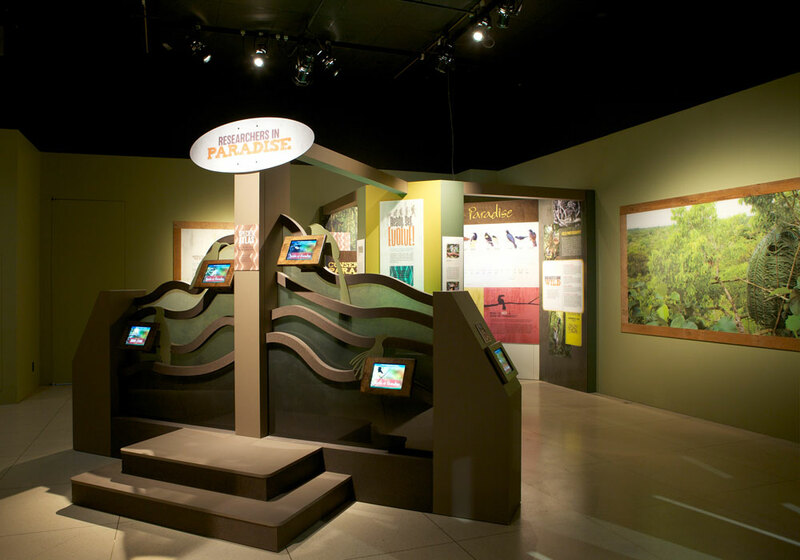 The oblique shaped exhibit structures include many interactives to see and explore. 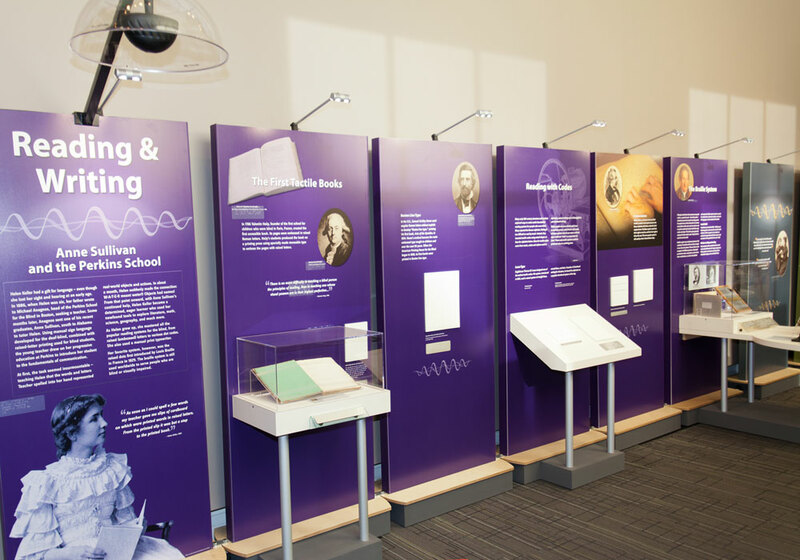 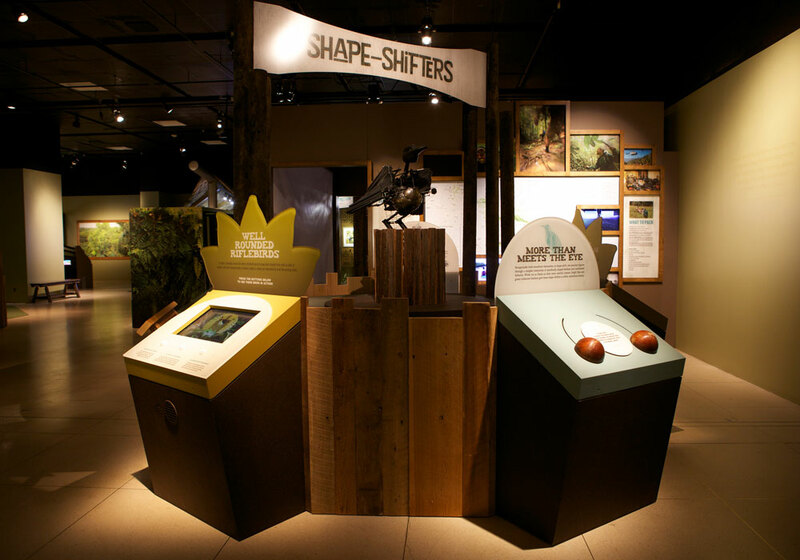 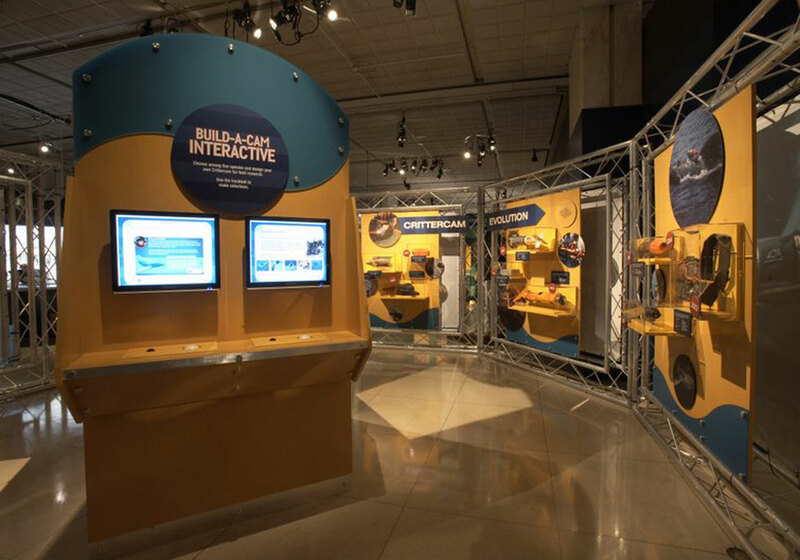 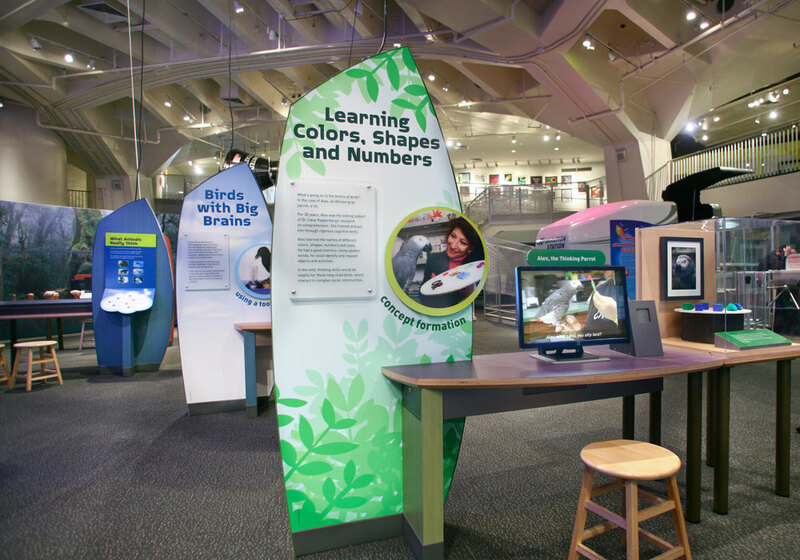 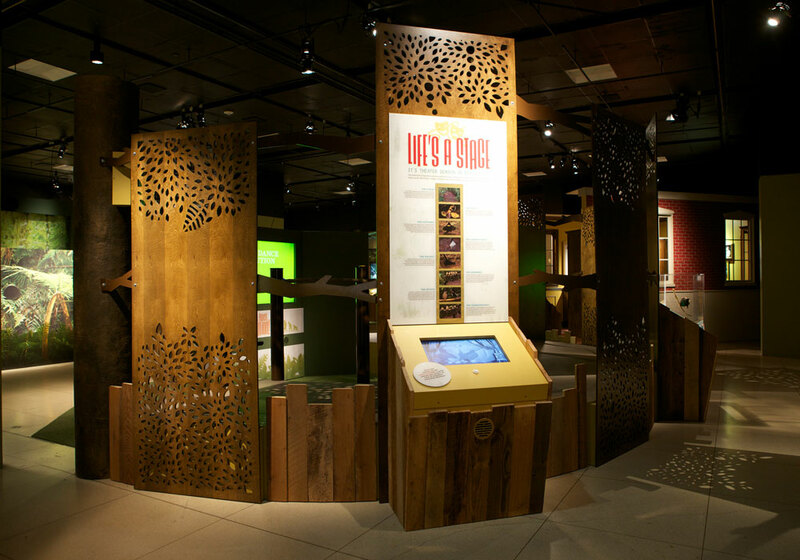 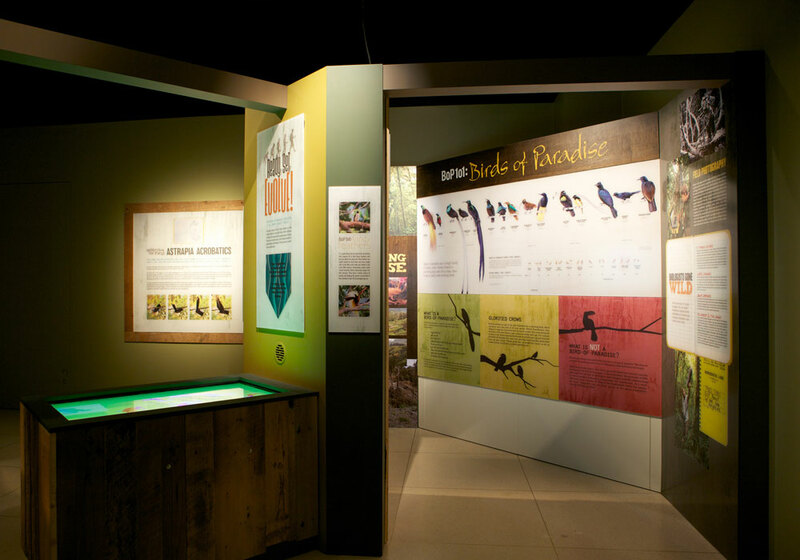 CMS was contracted to provide exhibit detailing, fabrication, finishing, interactive prototyping and construction, art production, audio/visual programming and hardware, and custom crate manufacturing for this 2,500 square foot interactive science exhibition. 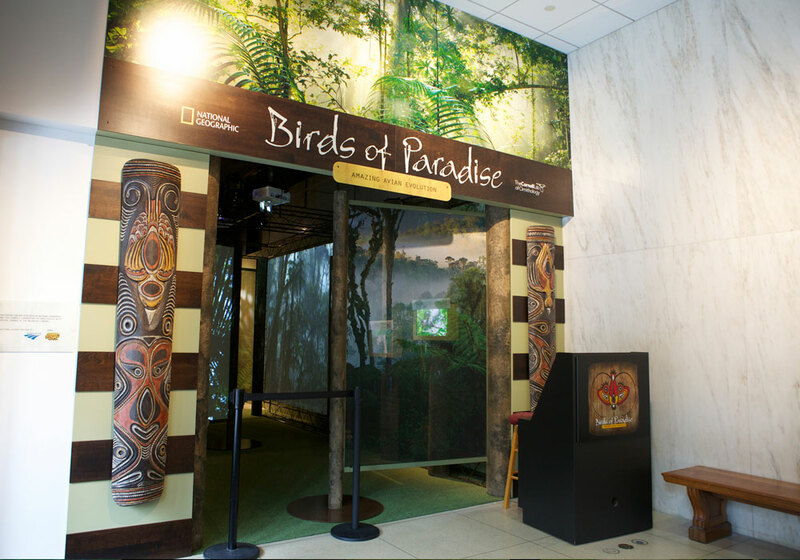 National Geographic Museum – “Birds of Paradise: Amazing Avian Evolution,” a traveling exhibition reveals all 39 species of these elusive birds for the first time giving visitors an in-depth look into the lives of birds-of-paradise. 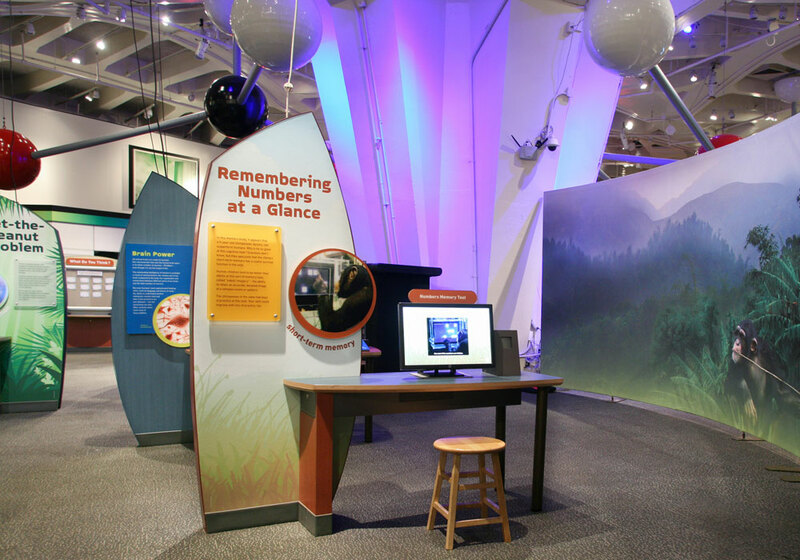 CMS worked in partnership with the Museum to bring vision to reality. 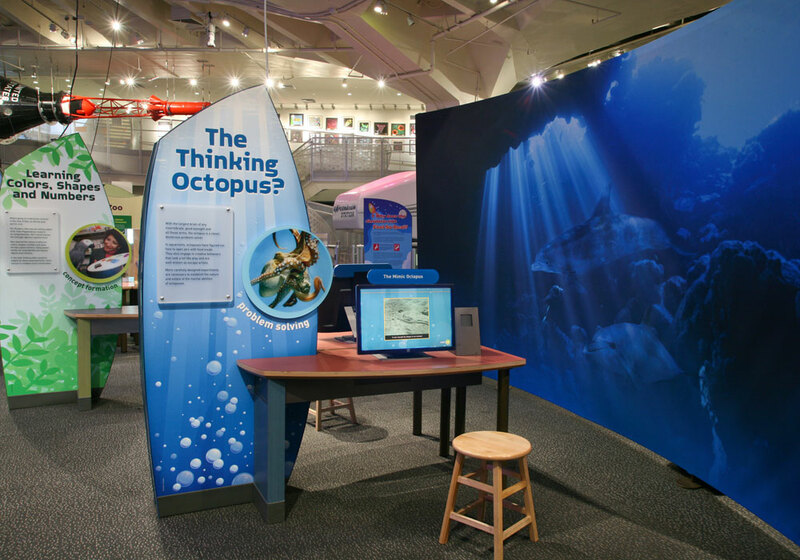 The Museum served as Exhibit and Graphic designers in addition to producing most graphics and A/V presentations. 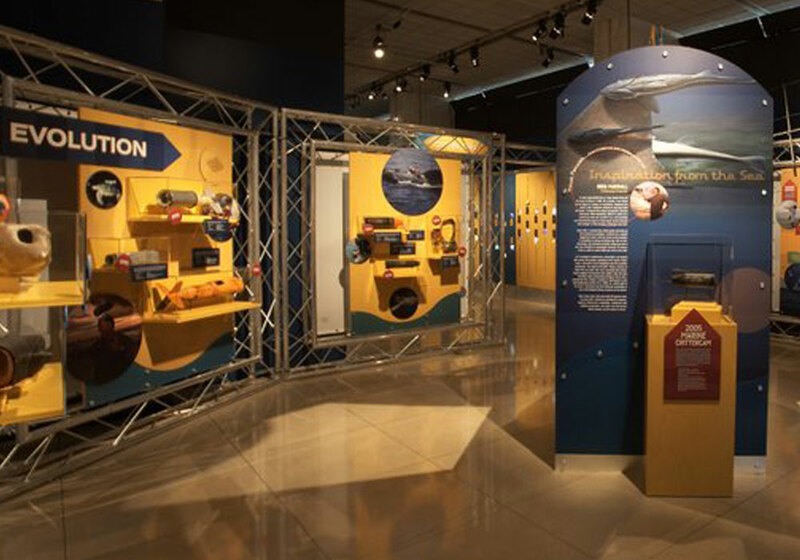 CMS coordinated these efforts with our in-house detailing and fabrication to produce an exhibit that could break down large exhibit sections into manageable components for transportation. 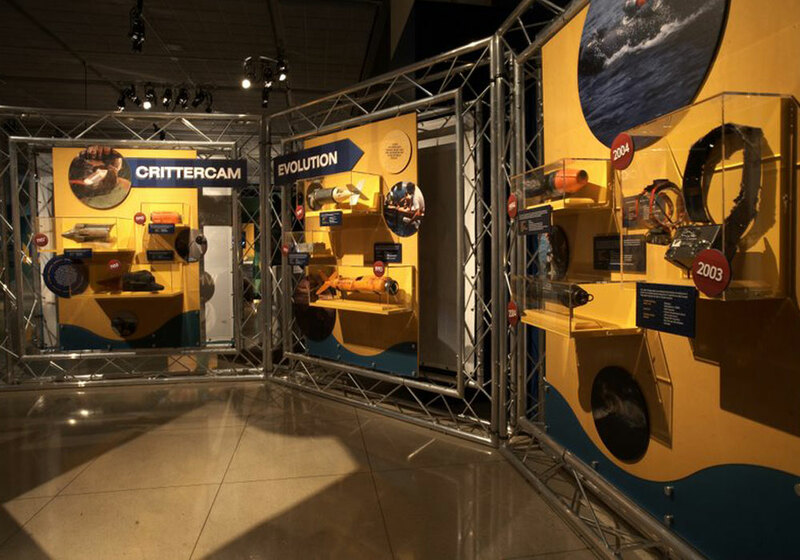 National Geographic Society – “CritterCam: The World through Animal Eyes.” Is a highly interactive and visually exciting presentation looking at the world from a “different perspective”. 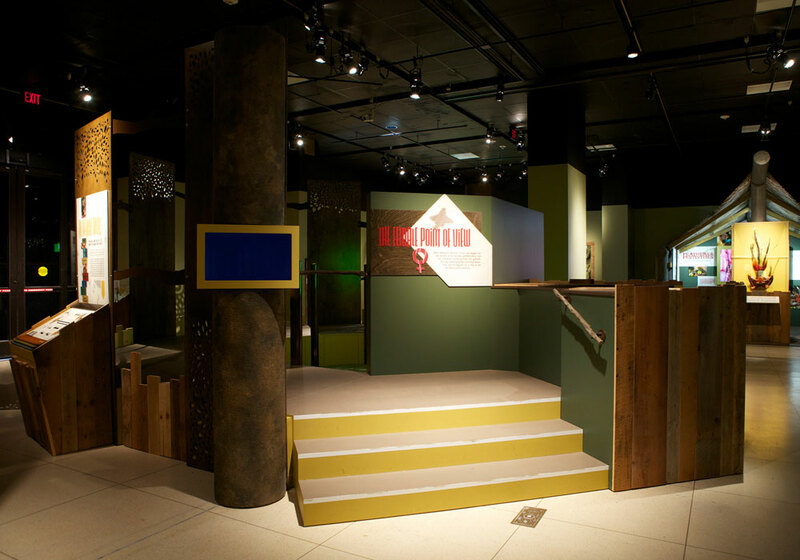 CMS was tasked first with the production of detailed construction drawings to guide exhibit fabrication and installation. 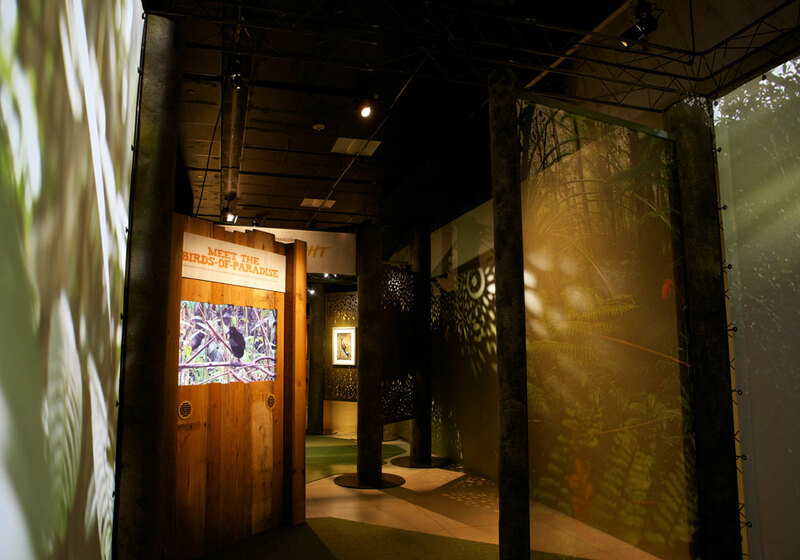 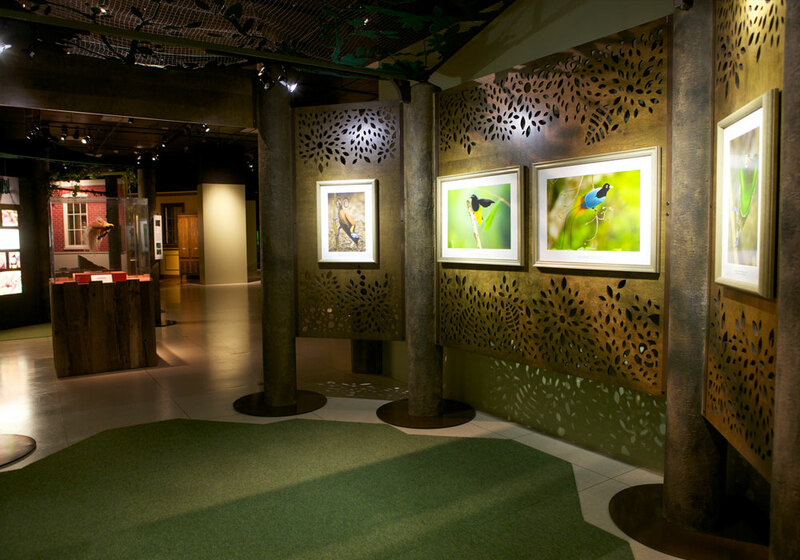 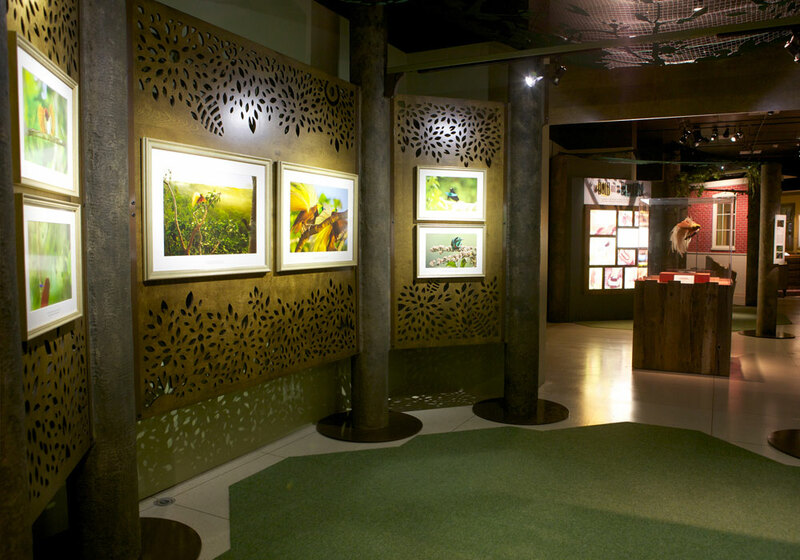 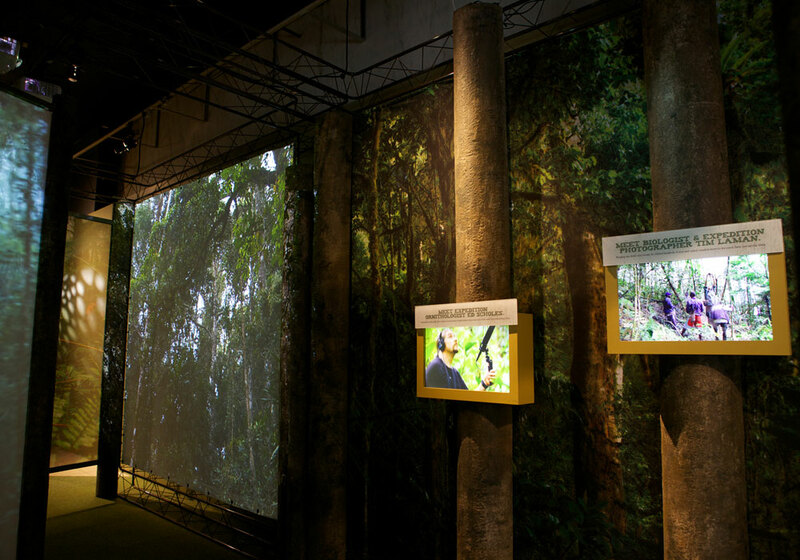 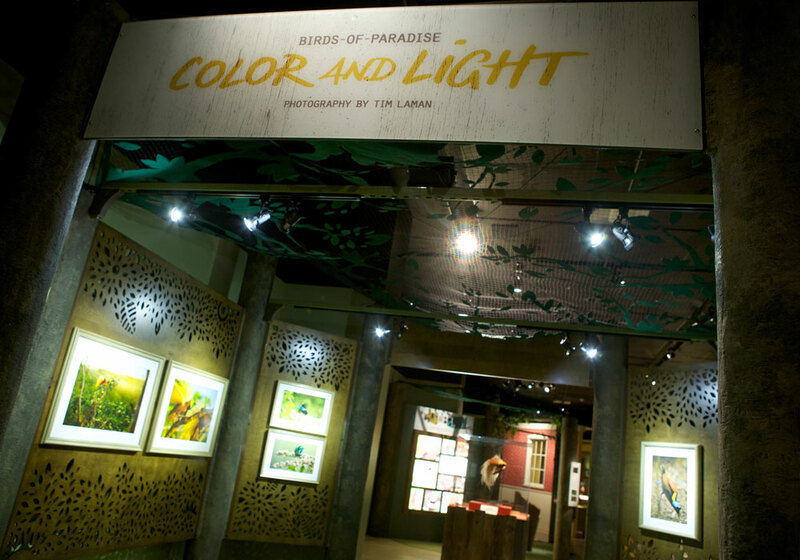 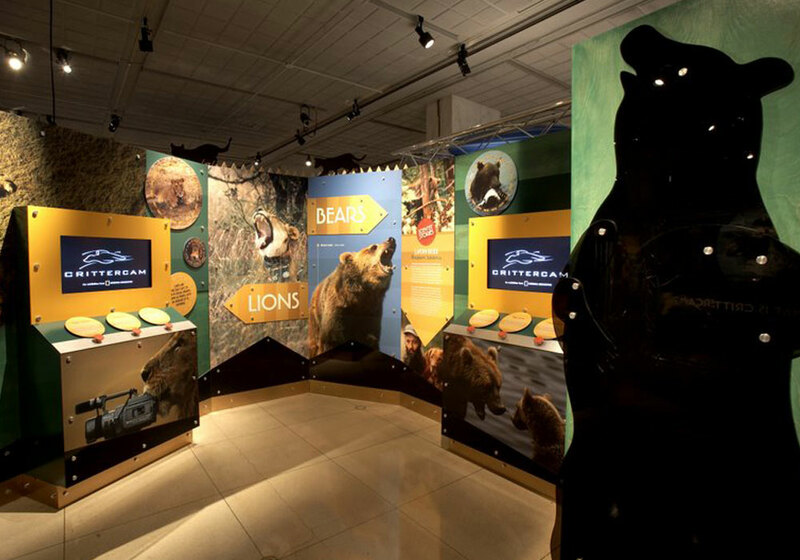 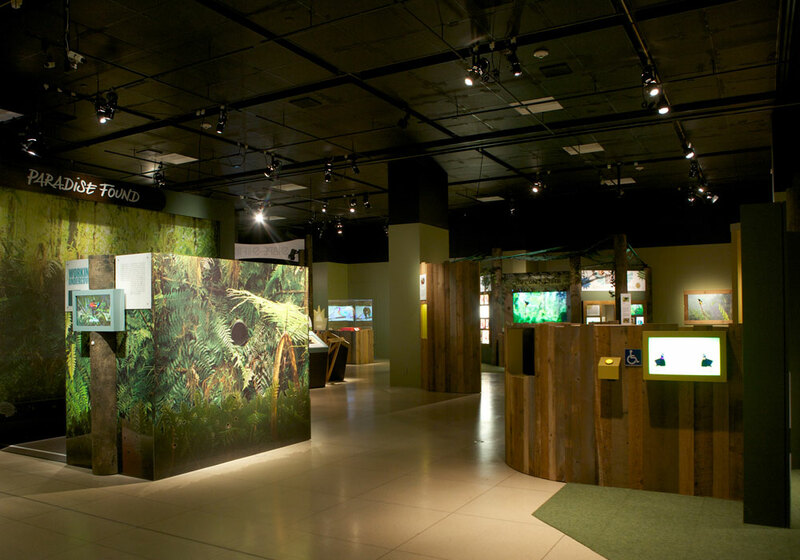 Working closely with the National Geographic design team, we analyzed the exhibit concepts and came up with a plan to meet the project budget and schedule and to utilize as many of the client’s own resources as possible. 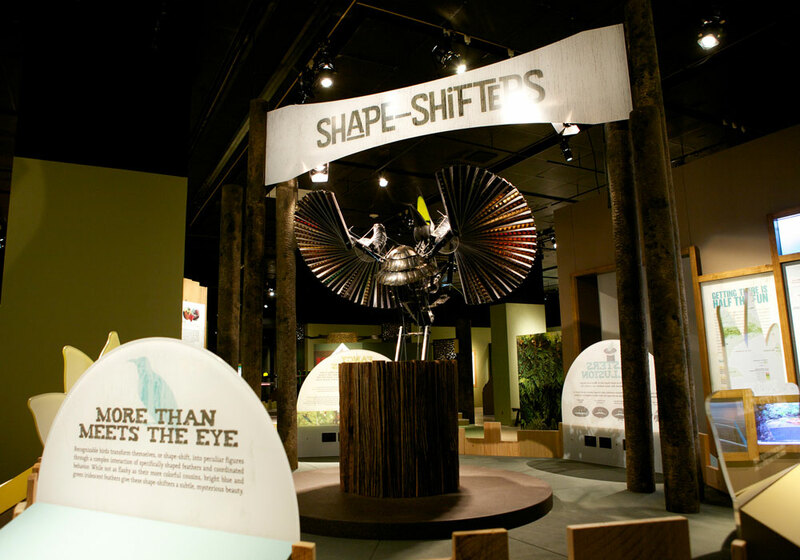 This involved determining what components could be provided by NGS, namely graphics, AV programs/equipment, and bronze sculpted pieces, as well as production of a few of the least challenging fabrication elements. 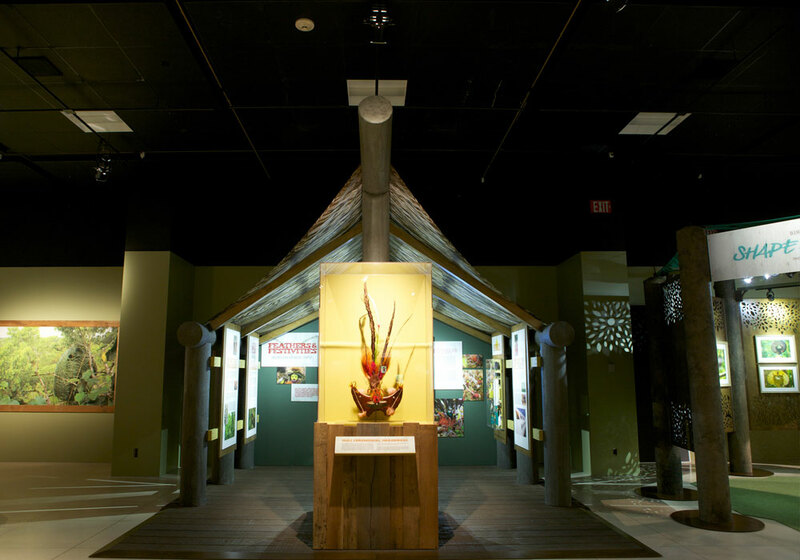 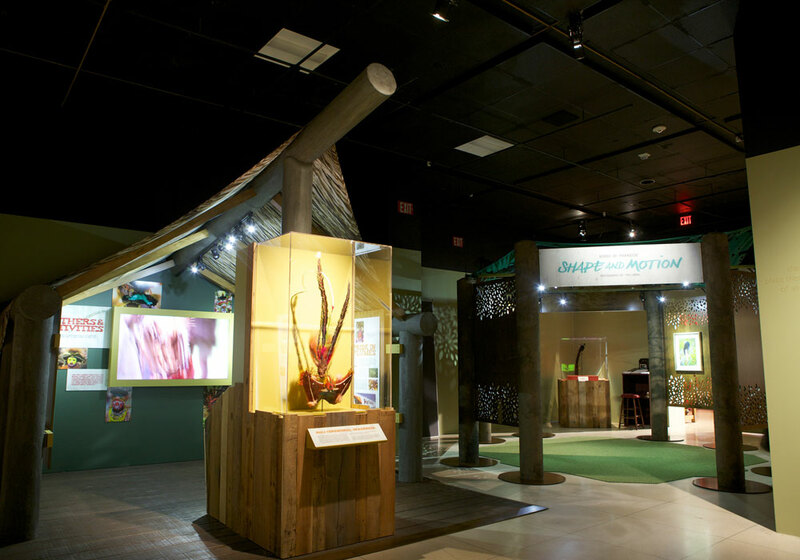 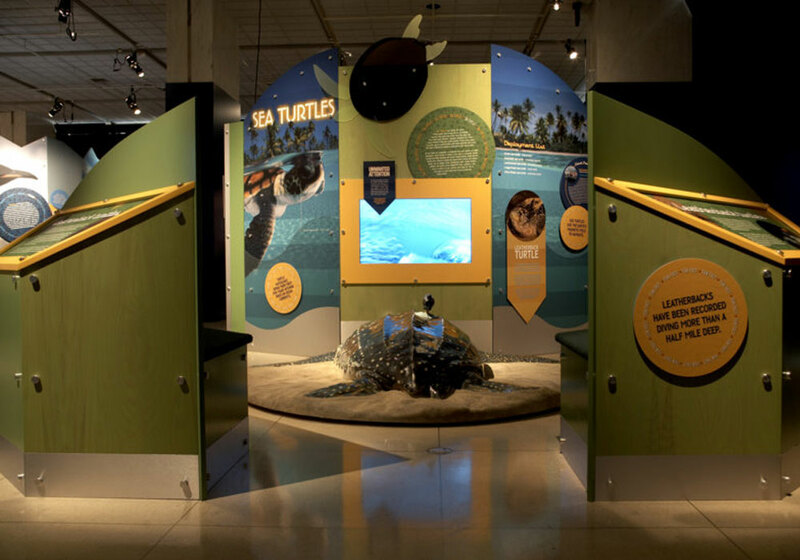 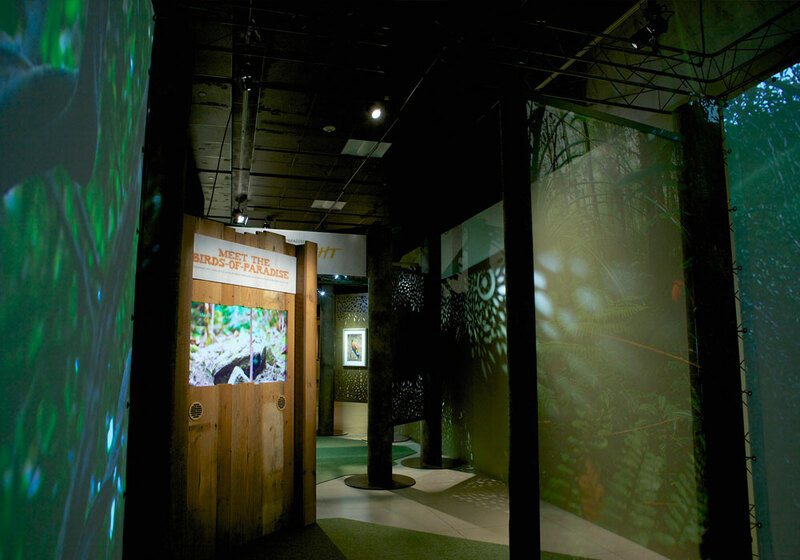 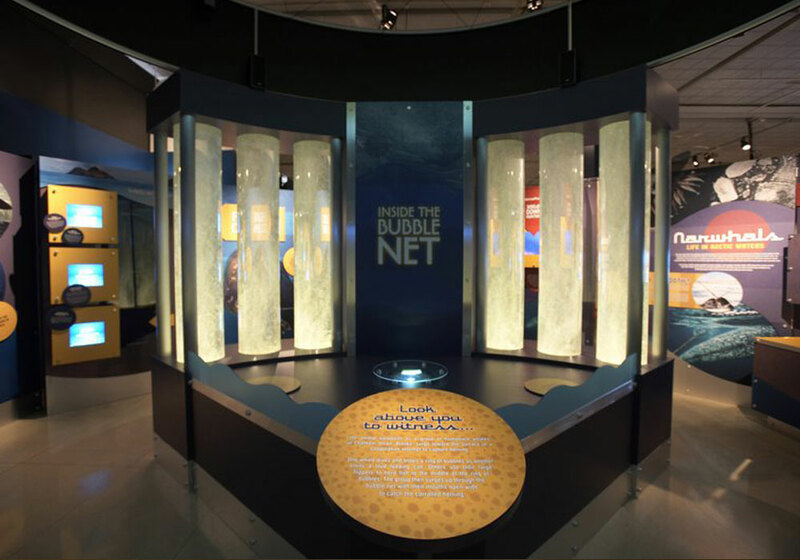 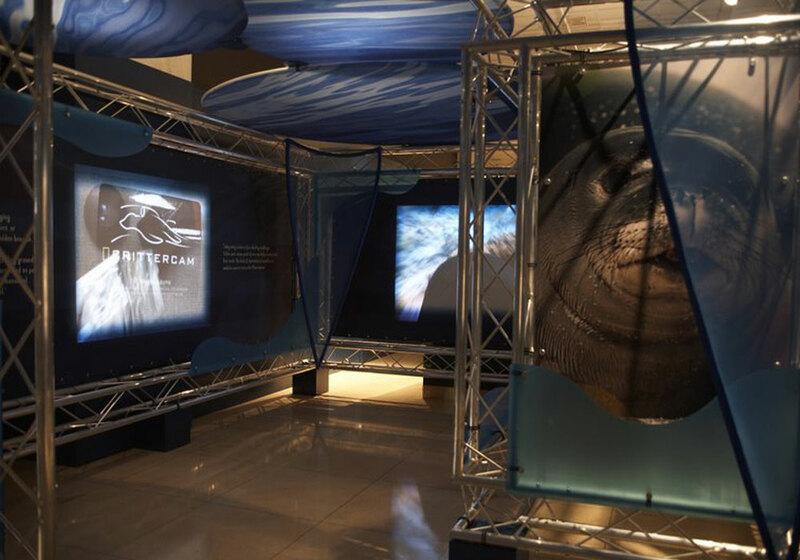 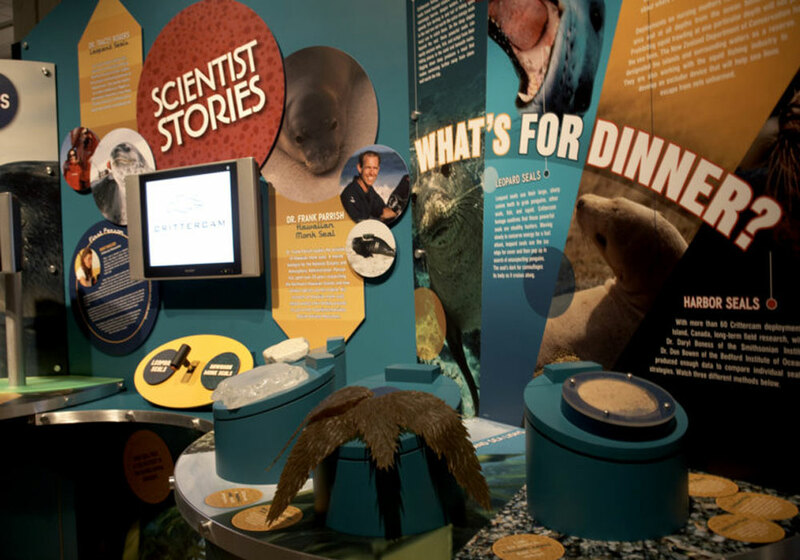 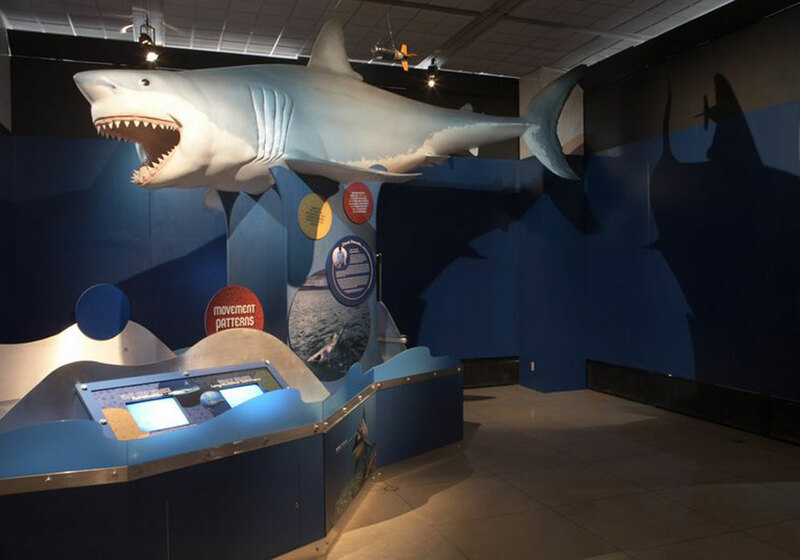 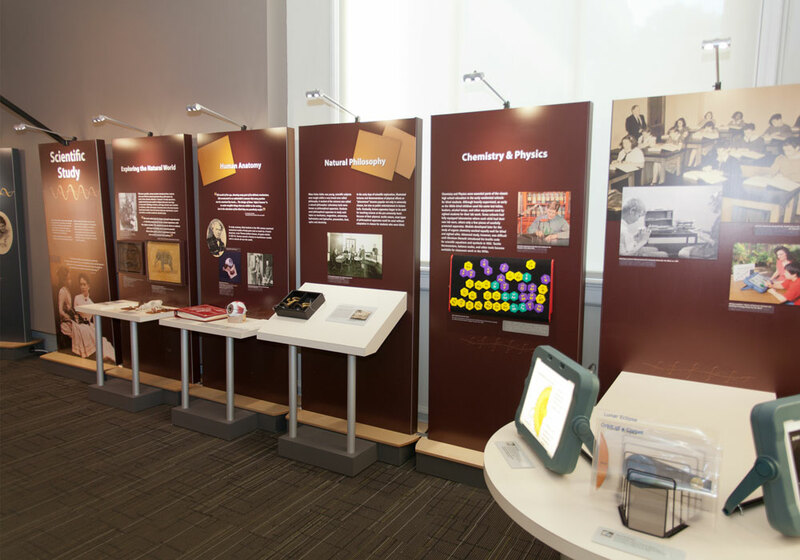 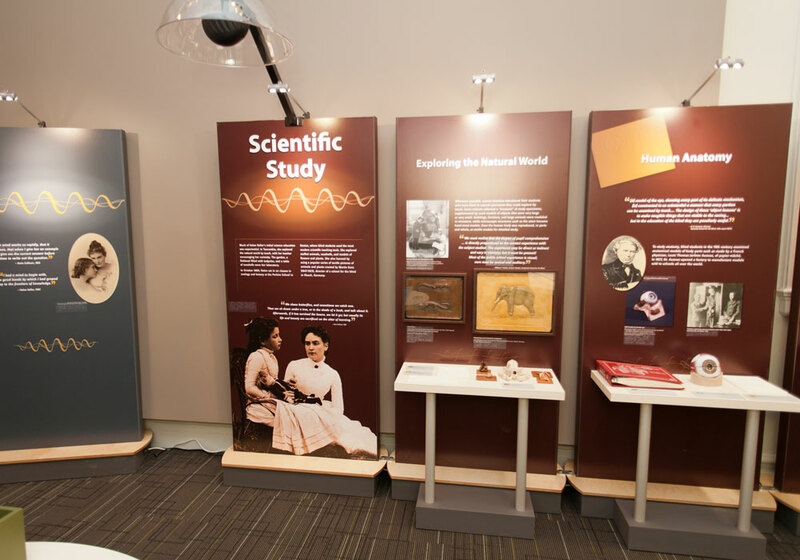 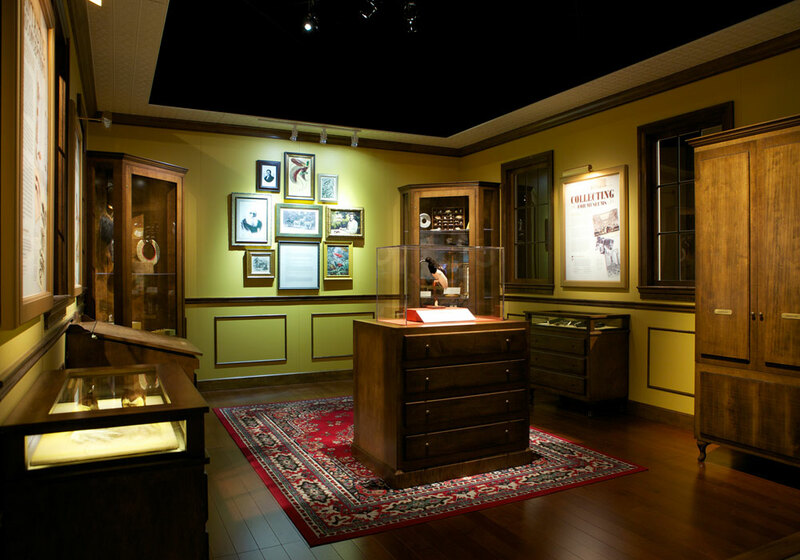 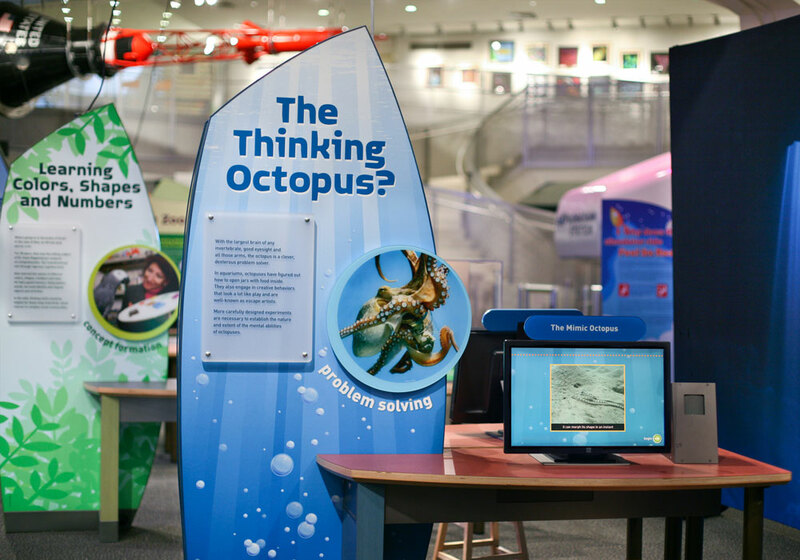 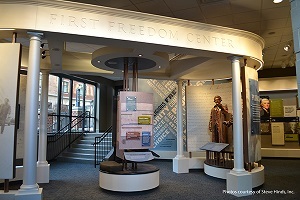 CMS integrated all components and provided a turnkey solution for the final project weaving all elements into a fully functioning nationally traveling exhibit. 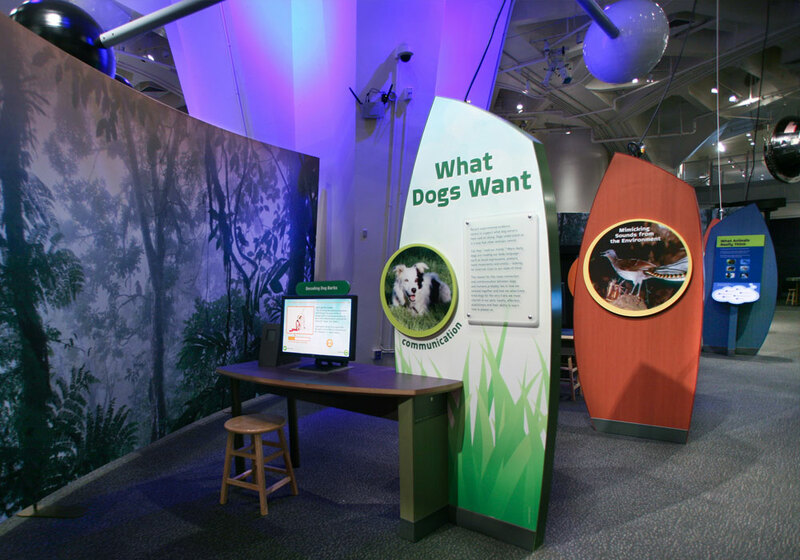 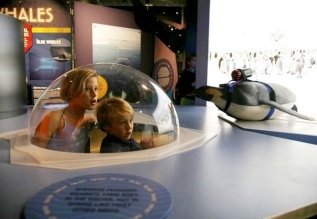 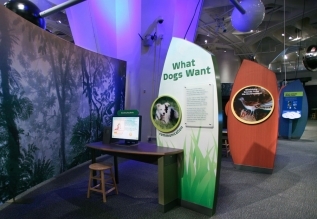 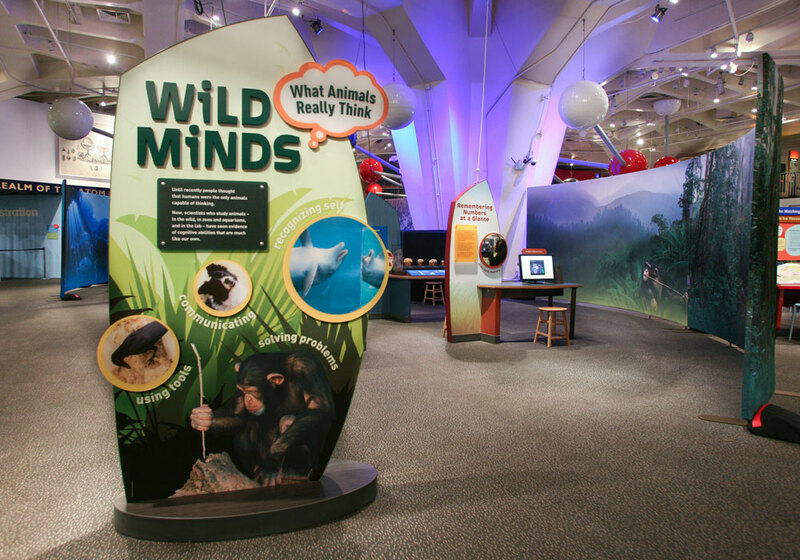 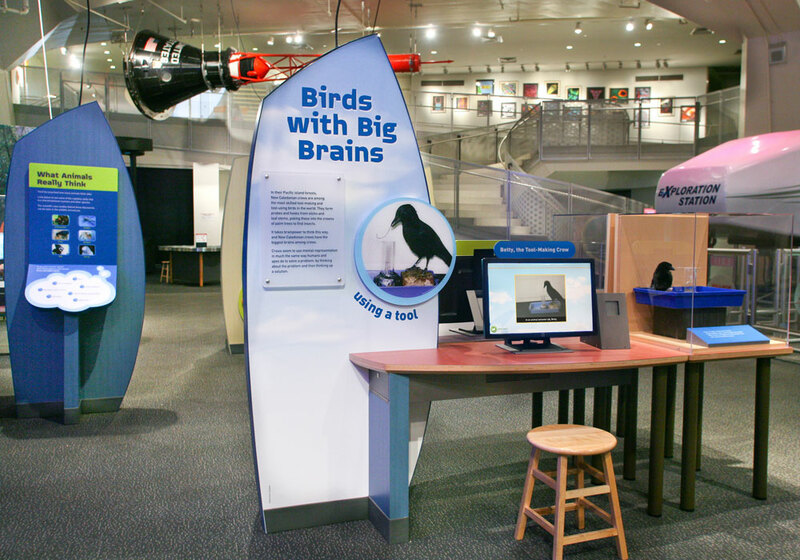 New York Hall of Science “Wild Minds: What Animals Really Think” consists primarily of multimedia stations that present case studies of animal behaviors that demonstrate surprising levels of cognitive ability. 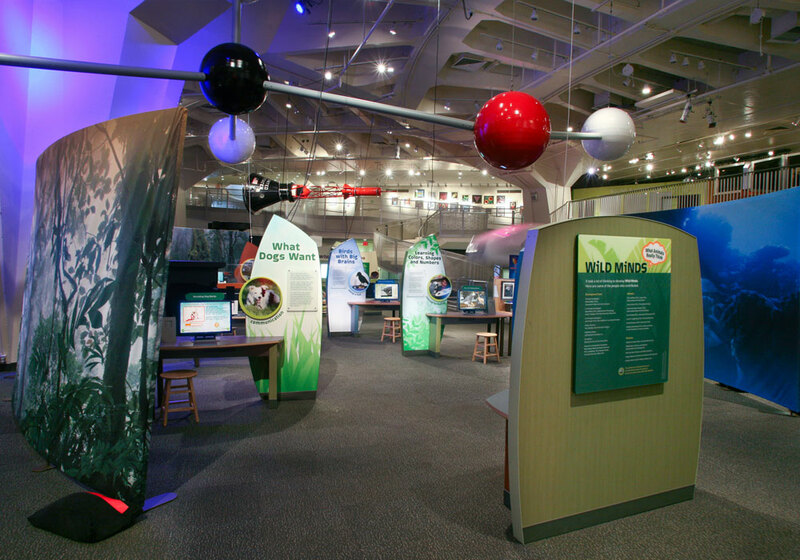 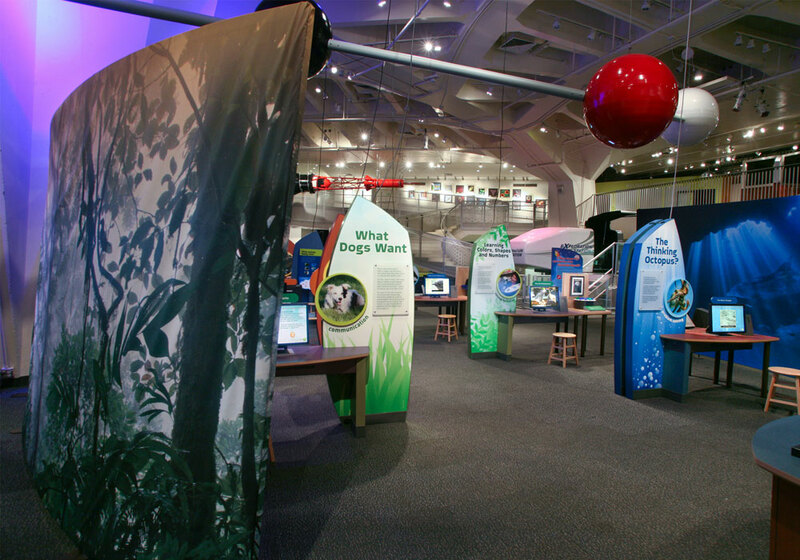 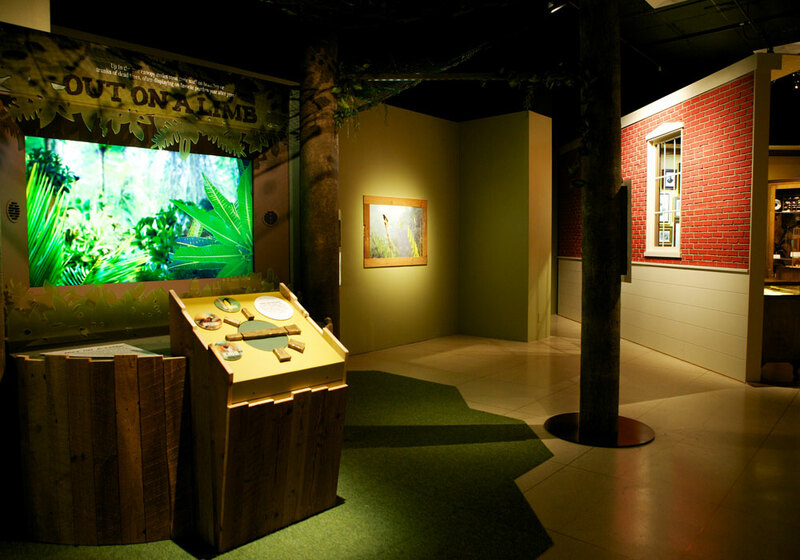 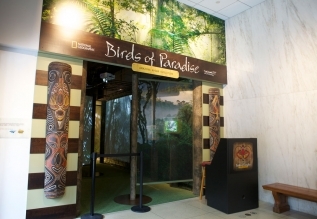 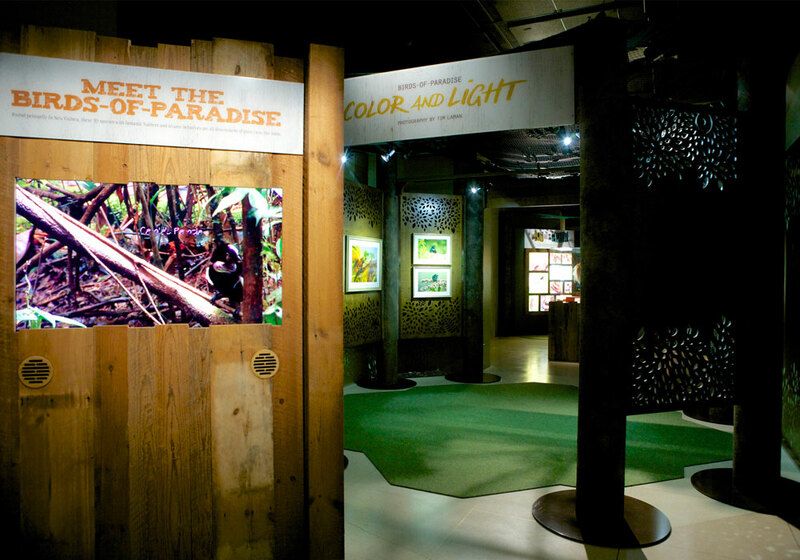 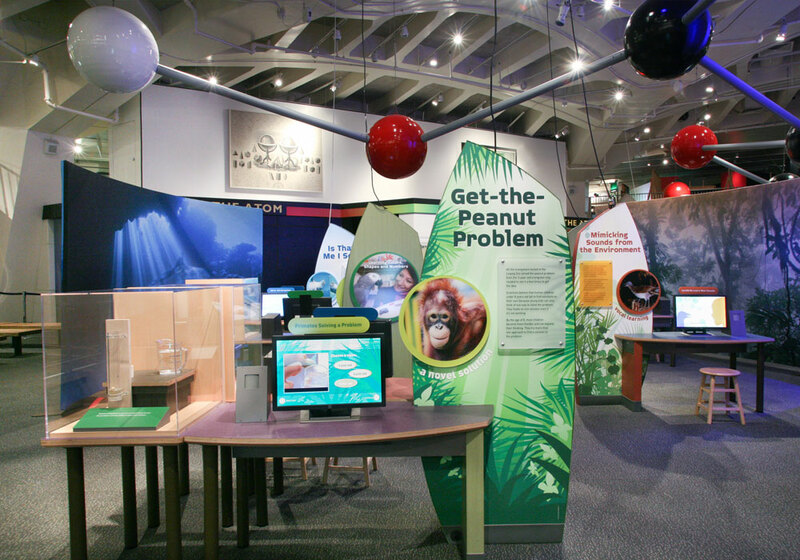 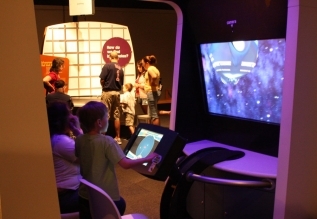 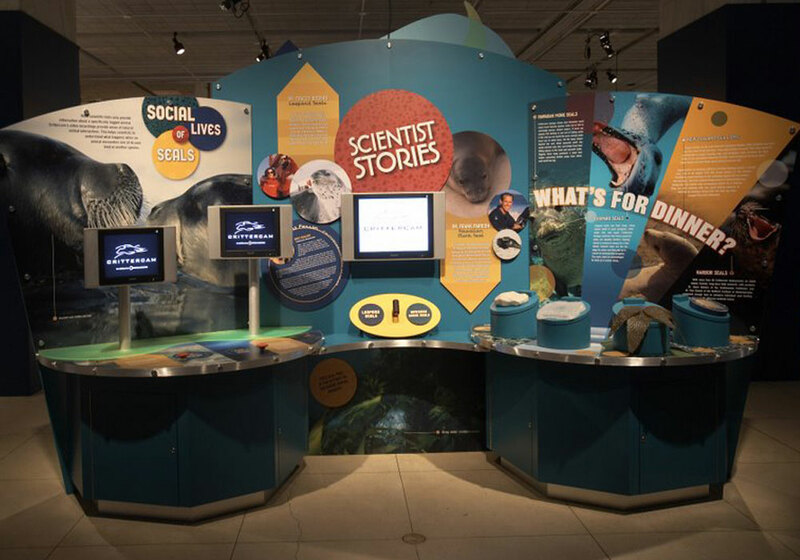 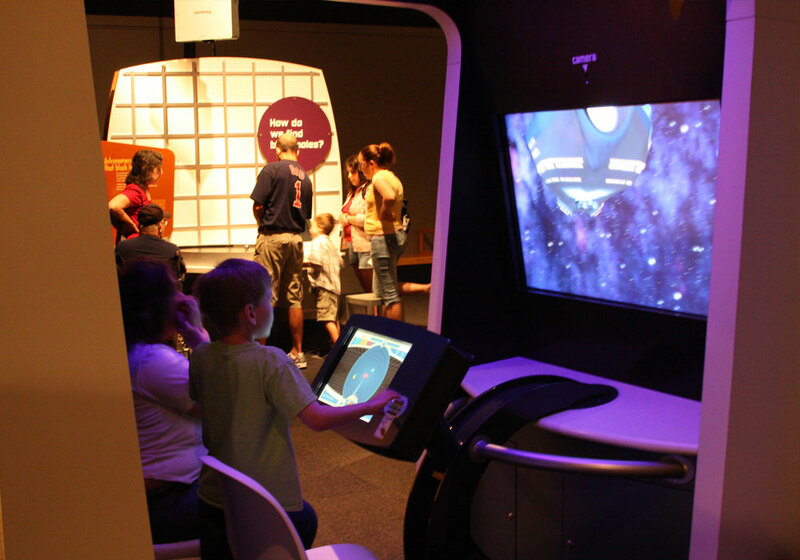 CMS was contracted to provide final exhibit detailing, fabrication, finishing, interactive prototyping and construction, art production, audio/visual programming and hardware, and custom crate manufacturing for this 1,600 square foot traveling exhibition intended to travel to major science centers throughout the United States.